Something different for the last photo of the day – I found this scan again while looking for something to post. It’s actually a contact print of a negative strip I made in our few attempts to enlarge photos ourselves sometime in 1988. 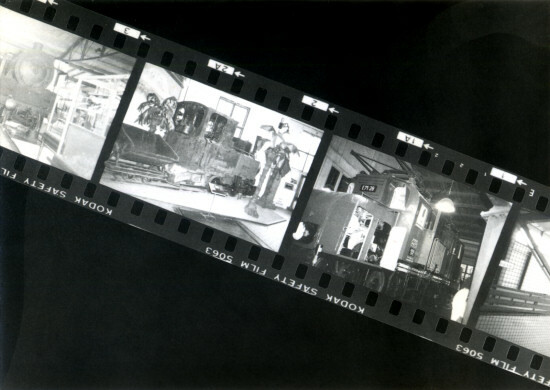 The photos on the film were taken in Berlin’s Technic Museum in 1988 of their collection of history locomotives – and yes, we still have the original negative and it’s already scanned and properly archived! I will post the photos sometime.